At the Interplastica, which will take place from January 29 to February 1 in Moscow, Russia, Arburg will focus on the topic of production efficiency. A hybrid Allrounder 570 H in the “Packaging” version will produce thin-walled yoghurt tubs with a molded part weight of 9.5g in a cycle time of 3.5s. The exhibit is adapted to the application-specific requirements of the packaging sector and features a clamping force of 1,800kN and a size 800 injection unit. It is equipped with a two cavity mold. Besides its short cycle times, the Allrounder can also be set up quickly and reliably because of Arburg’s Selogica “Set-up Assistant” module. 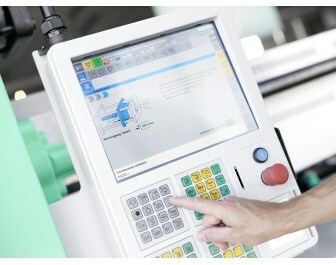 The Set-up Assistant enables menu-guided set-up and “teach-in” of the entire injection molding machine sequence, including the robotic system. Because the step-by-step guidance for all the necessary actions reduces parameter entry to the absolute essentials, Allrounders can be set up in a very short time and detailed knowledge of the control system is not necessary, notes Arburg.